Setup is simple with the sensorProbe and securityProbe autosense function. Once plugged into the intelligent sensor port the base unit automatically detects the sensors presence and configures it for you. All you need to do is set your thresholds for low and high warning and critical parameters. The built in graphing function of the base unit gives you a pattern of temperature trends over time. 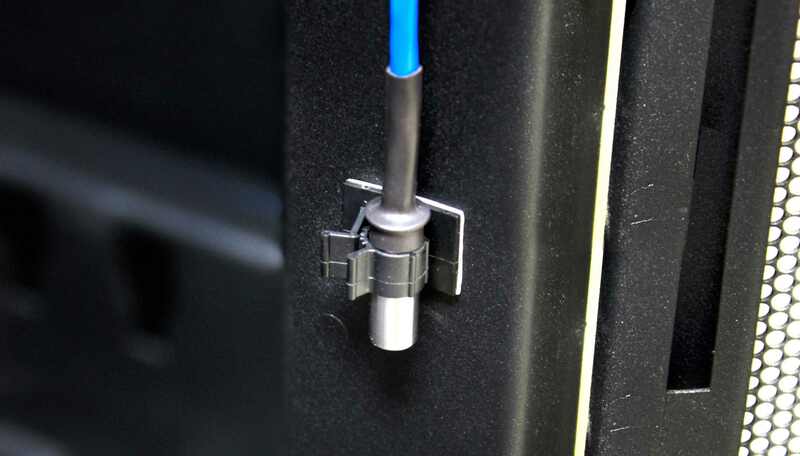 The stainless steel tubing helps to protect the temperature sensor from everyday use in busy server room environments. The stainless steel tube reduces the risk of sensor failures caused by water damage. Temperature sensors ship with cables and temperature sensor clips for easy installation in server cabinets. AKCP can provide custom length cables suitable for any installation. Please note that if the new temp sensor is used with older IP capable sensorProbe and securityProbe remote environmental monitoring systems (until September 2017), a firmware update may be necessary. The obsolete securityProbe remote monitoring units with old PXA chipset are not supported by this sensor! 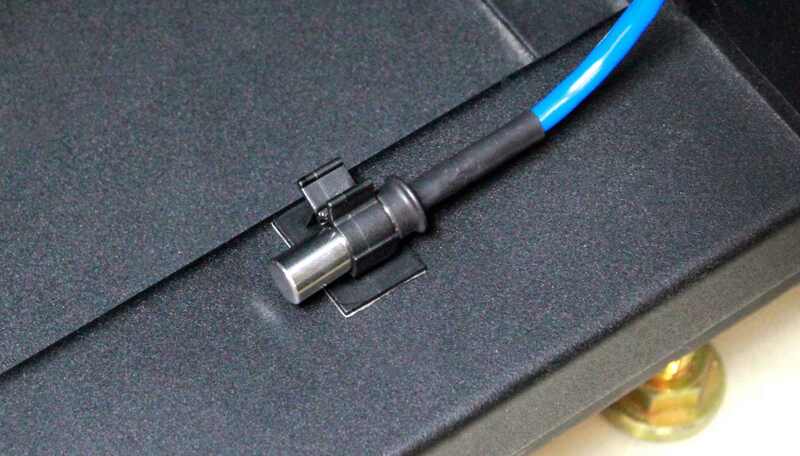 Related links to "Sensor Temperature"
We also do not recommend you trying to connect any of our AKCP sensors including the temperature and dual temp humidity sensors though patch panels or using the RJ-45 couplers to extend them. Customer evaluation for "Sensor Temperature"